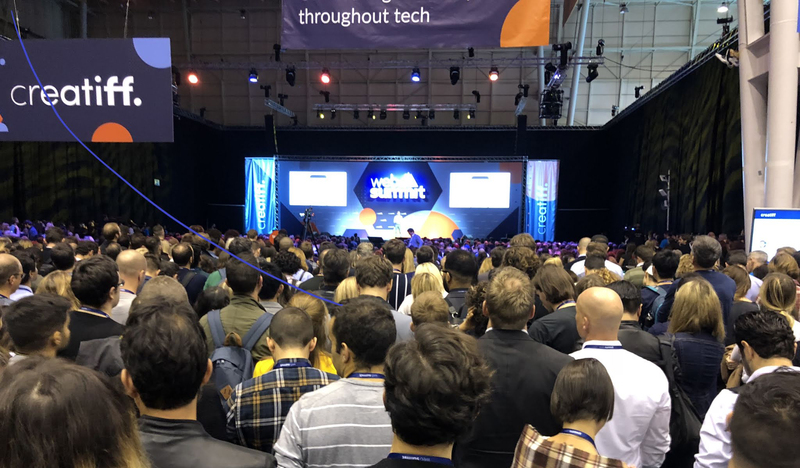 This year, Webware is attending Web Summit, from November 5th to 8th, to answer the one simple question asked by the largest tech conference in the world, "Where to next?" Webware has landed in Lisbon, Portugal, for Web Summit 2018! Web Summit is the largest technology conference in the world, featuring 60,000 attendees from more than 150 countries. Webware is located at booth C-101, on November 8th, next to Collision Lounge in Pavilion 3. Webware’s fully integrated software as a service currently has customers in over 400 cities across the world and is focused on expanding internationally. Webware formed a groundbreaking partnership with Staples Canada. If you would like to get in touch with Webware, regarding our attendance at Web Summit, please email media@webware.io. TORONTO, October 31, 2018 – Today, Webware.io announced a partnership with Staples Canada that promises to disrupt the Canadian website market and make it easier than ever for small businesses and entrepreneurs to leverage the digital world to build their business. As part of the partnership, Webware will have staff onsite in Staples stores to educate and counsel business owners how they can enter the digital space and market to a broader audience. PowerStores Ecommerce Ltd. is ready to take on North America with a new name and a fresh round of capital investment to fuel its rapid growth. Rebranded as Webware.io, the company has closed a new round of funding led by Toronto-based Extreme Venture Partners and William Bissell, who made the investment in his personal capacity through his family office. Webware offers a DIY website platform that is now complemented with robust do-it-for-me set up and support services to ensure businesses become competitive in the online world. December 5, 2015 (TORONTO, ON) - PowerStores Ecommerce Ltd. is ready to take on North America with a new name and a fresh round of capital investment to fuel its rapid growth. Rebranded as Webware.io, the company has closed a new round of funding led by Toronto-based Extreme Venture Partners and William Bissell, who made the investment in his personal capacity through his family office. Webware offers a DIY website platform that is now complemented with robust do-it-for-me set up and support services to ensure businesses become competitive in the online world. “There are four billion-dollar web platform companies in the market, yet according to a joint Google and Ipsos survey in 2013, 55 percent of businesses in North America are still not online,” says Cory York, co-founder and CEO of Webware. “We know why. Small businesses are looking for a reasonably-priced, do-it-for-me platform and service company to take care of their online needs. And that’s what our company offers.” Founded in India by Cory York and Indrajit Chowdhury in 2012 as PowerStores, the company established a Toronto office this past summer and already has 10 employees and 500 customers there. “The name change to Webware.io reflects the company’s ability to serve more than just the e-commerce market with a shopping cart solution,” says York. “We know small businesses have limited time and resources, and an easy all-in-one system that covers everything they should be doing when it comes to the internet is what Webware is all about. We offer a complete digital tool kit that covers everything a business needs to be doing online - website, web store, social commerce, blogging, and more. About Webware.io: Webware.io is a complete tool kit designed to help small businesses easily and affordably navigate the digital world. Webware.io’s technology platform provides everything small businesses need to manage and grow a successful online presence, from designing and building websites and online stores, to SEO marketing services and creating loyalty programs. With services embedded into the Webware.io platform, businesses can access all the tools they need from one easy-to-use workspace. Cory York, CEO Webware tell his inspiring story of ambition, determination and success against all odds. Read and be inspired!